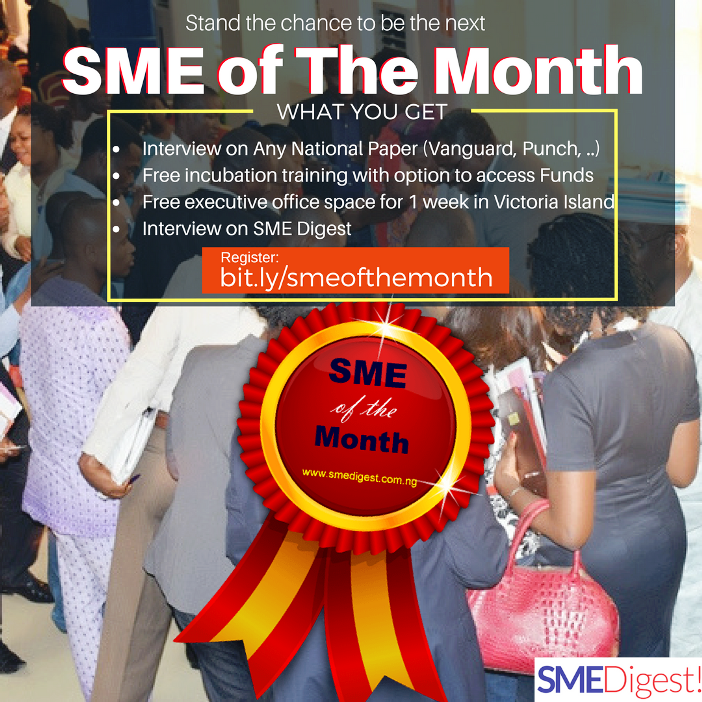 HOW TO BE A SUCCESSFUL ENTREPRENEUR: the story of SLOT - SME Digest! 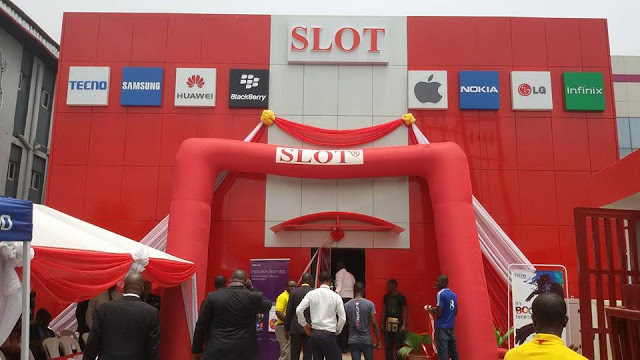 From unemployment to riches, the story of Slot and the Founder. He started from the scratch with no job for two years. But unknown to Nnamdi Ezeigbo, the Founder and Chairman of Slot Group, the nation’s number one phones and accessories outfit, fate had other plans. Equipped with degrees in Electrical Electronics and Computer Engineering, he got tired of roaming the streets and decided to take his destiny in his own hand. After a six-month ‘apprenticeship’ with a friend, he started a small business with his younger brother as the only employee. For Nnamdi, the coming of GSM was a turning point. From computers, he diversified to phone accessories. Today, with over 700 employees, he runs the Tecno and Infinix phone brands. In this interview Ezeigbo shares his life’s journey to the top with Samuel Ajayi, recalling years of struggle, as he turns 50 this August. Most people in your business and financial pedigree are on the island. So why have you or do I say didn’t you join your fellow millionaires on the island? My business head office is in Ikeja. Though most of my friends stay on the island but I want to be close to my business headquarters. Convenience and the stress of navigating the Third Mainland Bridge everyday make it more sensible to stay on mainland. Besides, the cost of getting an office on the island is killing. Maybe in the future we might go there but I am quite comfortable here, close to the office. You are an engineer. What is your area of specialisation? Mechanical, chemical or electrical? I think I cut across. I have two degrees. I have one in electronics and also another one in computer electronics and I also have master degree in information technology. My MBA was done here but presently doing my entrepreneurship programme in Harvard. Have you always been fascinated by gadgets like phones, accessories and so on during those formative years? I have flair for computers. In the 90s, there was nothing like mobile phones but computers. However, when I went to school, there was nothing like computer engineering then until I finished my HND and I had to go back to Lagos State University to do my degree in electronics and computer engineering. This equipped me with the training I needed but I did not start with that formal education. I still went to spend six months with a friend of mine who had a computer engineering outfit and it was those six months that gave me the necessary training and expertise for me to start as a computer engineer. Did you go for that internship to start a business afterwords? I didn’t start my computer engineering vocation to start a business. My venture into business was a child of necessity because I could not find a job for two years. That was why I actually joined my friend who was running his computer engineering outfit then. I could not find a white collar job and I needed to do something to keep myself busy. That was why I joined my friend and found myself in this place now. In order to do business, I needed the right computers and there was no way I could have started on my own. And let me also say I could not have gone into fashion or any other thing. When I started, businesses were just interested in making money and I did not expect entrepreneurs to be so crazy about money but more concerned about creating values. This changed the game for me and I said I was going to be involved and make something different. You won’t believe this but when I started, I would fix computers for people and won’t ask them for money and it was customer that would be asking to pay? So it was not about money but the excitement that I could even fix computers. And that was what kept me going. It was not even about the money I was making. And I saw so many people coming to my office to fix their computers. (Cuts in) Yes. People even had to be comfortable to be able to buy a computer. That was the case then. However, we had a reasonable number of people and organisations that owned computers then because it was basically a way of having efficiency in your operations. I remember fixing computers for Daily Times, University of Lagos and Standard Chartered Bank. Those were using computers but were using very outdated computers… They were just carrying computers when there were already the likes of 4ACs, 3ACs and when Pentium and other fast computers were already in the market then. But we started having more people becoming more passionate about computers. It was a good business. We started with computer engineering and gradually, we dabbled into sales of computers and with the advent of GSM in 2001, we diversified into GSM and mobile phones. Can you then describe that point of diversifying into GSM a turning point of your business? O yes; it was. We were simply sensitive to opportunities. 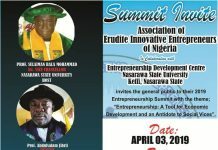 Entrepreneurs are not just people who are innovative and create value; they should also be sensitive to opportunities. We knew that GSM was going to open a lot of opportunities and since government had privatised the telecoms industry, we saw how that opened up economies in South Africa and other countries. So it was obvious that it was the way to go and we switched basically not just diversifying. And how did the name Slot come about? Well, we were fixing computers; there was what we called slot processor and socket processor. The slot processor was always a stronger and more robust processor and I always wanted to recommend it to my customers. And because we were building computers to compete with HP, Compaq and Dell. We were building computers and assembling them and we always used the slot processor as against the socket processor. Then, my friends started calling me slot. I looked at the meaning of slot in the dictionary and I discovered that it was a word for position, space and fixer and I felt this was a good name. So we saw ourselves as coming to occupy a space and take a position and to lead. 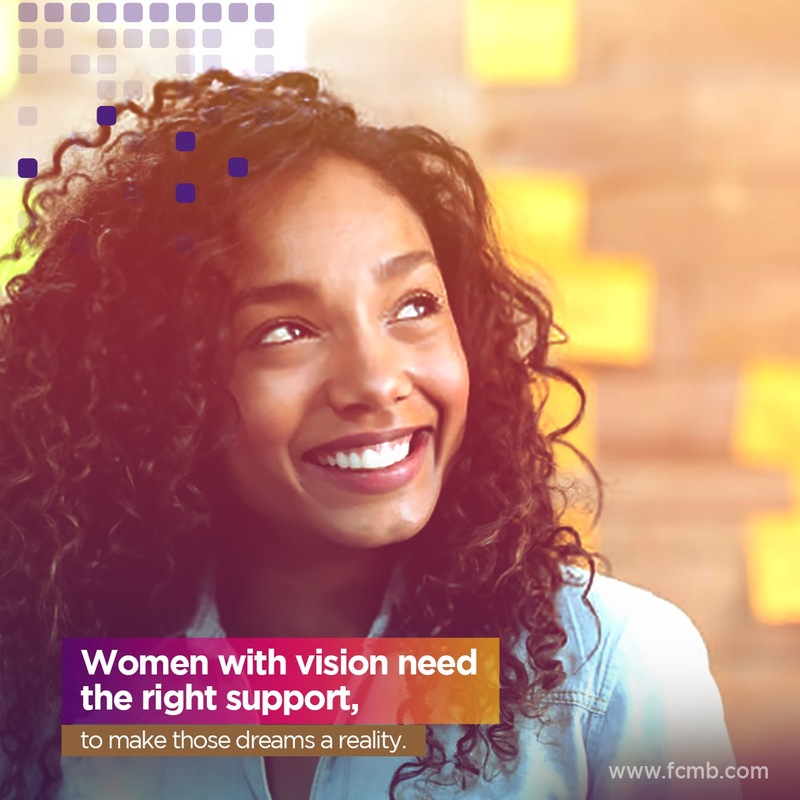 We got stuck with that name and it aligned with our mission and vision. 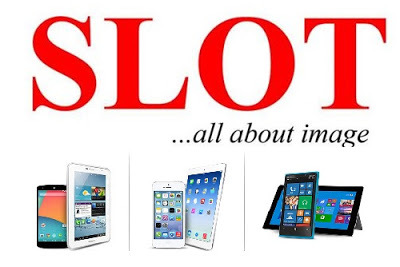 When Slot started, did you in your wildest imagination, think it could grow big and become household name in Nigeria? No. I never imagined. I was just doing my own small thing in my little corner. But if you are doing the right thing, customers and consumers are the ones that will ask you why are you not going a step further? It was our quest to satisfy customers that launched us to where we are today. It was customers that even pushed us when they were coming and started saying come on guys, get a bigger space; this place is getting smaller. They pushed us to move into a bigger place and it was even consumers and customers that pushed us to open retail outlets outside Lagos. So it was in pursuit of meeting customers’ needs that pushed us to where we are today. It is going to be dangerous for the organisation to outgrow me by now and that is what I will not allow to happen because I feel that at every point in time, I should be able to update myself to be able to manage the empire. 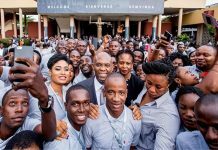 One of the things I have done is to acquire an MBA from the Lagos Business School; because as an engineer, I cannot call myself an entrepreneur unless I acquire the right managerial training in order to manage and lead. I did not stop there. I also went to Harvard. So if the business outgrows me now, it means I have to struggle to manage and lead it. As I develop myself, I also develop my team; making sure I have smart and right people so as to have the right structure. As the business grows, the managers should grow with it. When you pulled out, how many people were with you? My first employee was my younger brother. Just the two of us. I taught him engineering and later his friend joined us and we became three. So the three of us were always in the workshop fixing computers. Today, how many people do you have? Both direct and indirect employees, we have about 700. It has been one level to the other and the need to employ people was driven by the pressure of work. If you need to satisfy 15 people today and tomorrow, the number increases to 20, you have to increase your manpower. The story of Tecno phone brand is like that of Slot. From an unknown brand it has become a best-selling mobile device. How did you come about Tecno? Tecno was basically my baby. As an entrepreneur, I was always looking for opportunities. With the advent of GSM, we saw the likes of MTN and Econet then struggling with poor services so Nigerians were always carrying two, three phones. We tried to have a dual SIM phone and we tried to convince the likes of Nokia and co to produce dual SIM phones, but they refused because they saw it competing against themselves because they were happy seeing people carrying two, three phones. If you make them carry just one phone, they would lose business. So I went to China and got a guy who had worked with a company called Bird then. Bird was into phones but they got choked and lost market share. I met with the guy and asked the guy to let us do something. I came with that name and I registered it here and brought the guy to Nigeria. And that was the high point of our business. We came together and I designed the first Tecno phone, Tecno T101. We started it but the market did not accept it and we also had problem with the dual SIM not working together and we had to make corrections and we came with Tecno 201 and that was a bit accepted by the market. But we were basically giving marketers on credit to sell the phones and then pay us later. And I was funding it all alone. Since I was funding it alone, we were finding it difficult to get the right quantity to sell until the market started accepting us. What I now did was to make them pay in advance, I mean the dealers. So we started using their money to order the products. This was around 2007. The introduction of Tecno brand was the turning point of our business. So Tecno was the child of Slot? Yes. In fact, we registered it as a subsidiary of Slot. At what point did Tecno push other phone brands to a corner of the market? It took Tecno about seven years to achieve this. It was the promise I made to the managing director of Nokia that time. They cared less about customers and after sales services and I promised him I am going to make Nokia go down in Nigeria. They were so arrogant. We were the ones selling Nokia and at the same time providing the after sales service with our own money. We would fix a faulty phone or give you a brand new one. Some of our colleagues were closing shops because they were not making profit because any money you made, you would spend on after sales service. But we refused to quit and maintained that staying spirit. So it was more of anger and determination to create value and also fight Nokia that gave birth to Tecno. What role did you play to improve the quality of Tecno? Like I said, Tecno is my baby and we kept improving. I knew a day would come when the middle class would accept Tecno. Initially, it was a phone for low income people but based on improvement and upping our game, the middle class had to accept it and when the economy went down in 2008 that helped Tecno to move to the top. Since purchasing power had dropped, they had to go for something that have same capabilities but cheaper. So with N15,000, you could buy a Smartphone and thank God for 3G network. The advent of 3G network actually helped Tecno to move up. So students who could not afford to buy phones in the range of N30,000 could buy one for N15,000 and enjoy features of Smartphone like Facebook, Twitter, Whatsapp and so on. Tecno now gave birth to Infinix. It is the same company. You can now see how the brand has evolved. So looking at the Nigerian people, you would see that a phone like Tecno will get a point when premium customers will like to use it. Tecno Phantom was a bang. How did that come about? It was based on continuous improvement on our part. Consumers’ taste is ever-changing and you have to up your game in order to gain traction. So, what we did was to up our game by looking at what customers were looking for. Tecno also wanted to appeal to the premium and high-end customers. And it worked; especially when those premium buyers could not afford those expensive phones again. Presently, our flagship product is the Phantom 5. It is our flagship product. The Camon 9, just launched will carry 4G network rating and 4G is the new way to go and very soon, we will be experiencing that. Let me say, competition has been quite helpful and it has helped to reduce prices and produce more functionalities. In 10 years, where do you want Slot to be? I want it to be the number one indigenous company and we want be the number one in terms of phone accessories in the whole of Africa. Are you likely to go into manufacturing of phone accessories? Oh yes. It should be the way to go as we believe in backward integration. Luckily enough, our leaders are talking about local content so it is not a bad idea to look at manufacturing in future but power supply has to improve. If we don’t get that right, our profit and loss will always be showing negative. As a family man, how much of family time has running Slot taken away from you? I believe three things matter so much: time, energy and money. And I believe business requires these three things. Energy is important and thank God, I still believe I have it. Money? If I don’t have enough, I believe I can leverage. But time is what every entrepreneur will have to deal with. One thing that has worked for me is that my wife is an executive director of the company. So we work at home, and we work in the office. So it is easy for us to integrate home and office and most of the business meetings I go, I travel with her. For the kids, I try. But the part of it I haven’t been able to do much is that aspect of checking their homeworks. Before, I used to do that and checked their assignments but now I have to get a lesson teacher. I also ensure that I don’t miss any school activities like Open Day. I make sure I attend such. As you were growing up, did you have anyone you looked up to? Yes. When I was growing up, my father used to work in a company called PAMOL. It was a subsidiary of Unilever. When I was growing up, I used to admire my father’s boss. Interestingly, his kids were my classmates in school. Even though they were more materially comfortable than us, I made sure they did not beat me in any of the major subjects like Mathematics and English and the sciences. I admired their father because I saw him as a rich man. So I was always wondering if there was anything he lacked; big cars and he lived in a big house. So I was always seeing myself becoming a manager; not really having my own company but becoming a CEO. So there was nothing that suggested to me that I was going to run my own company but the fact that I took a leap of faith 17 years ago. Besides, I had no idea of what business was but I just felt I got to do something instead of just wasting away. And gradually, the vision became clearer and that was it. I just then felt it was what I could do to become somebody in life. I grew up in Sapele and schooled there. I only came to Lagos for my degree. Can you recollect those things you used to do as a child? Playing football was major fun. Every day, after school, we had to play soccer because we always wanted to be in the school team. I was playing number 10 and my younger brother was the goalkeeper. And, of course, parents believe after school, you do your assignment and do house chores and then prepare for the second day. You had to convince them you had done your assignment but you would still always come home to take some whipping. As your 50th birthday approaches, what will you be celebrating? I will be 50 by August 4 and will be celebrating God’s mercy, His faithfulness, good health and grace. I will also celebrate the fact that I have been comfortable. I have been able to help people and help them grow. I have been able to make people happy and this gives me joy. The fact that so many people can text me and say, ‘brother, thank you. You paid my school fees’. Or that ‘I graduated because of your scholarship.’ This makes me happy and that happiness comes from the fact that I have been able to touch lives. It will be low key; just a gathering to praise God. What of Slot’s Skill Acquisition Centre? It gets to a stage when you say I have acquired so much and what can I give back to the society and the community? And that was what gave birth to the two foundations that I have. One is in the memory of my father because he believed so much in education. His name was Anthony Chubuike Ezeigbo. It is for undergraduate students. We have about 25 students enjoying that right now. You go to school and your internship or youth service can be done with us. 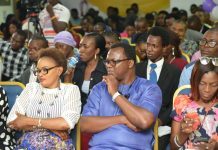 The other one, the Slot Foundation, came on the need to impact on the youths. Helping them to be employable and develop those skills and become CEOs and entrepreneurs as well. The Slot Academy also came as result of this. 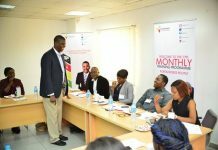 To acquire the training, you need about N150,000 but this is being subsidised by the Slot Foundation. The Slot Foundation came about because I was in a conversation with some youths a couple of years back. In the course of the conversation, I asked them to give me five names of people that inspired them. I was shocked that they mentioned names of a musician, an actor, footballer and a politician. I asked for another five and when they named another musician. I then asked them, who would produce the goods and services? The musician is just making people happy and making money for himself. That is not what the society needs. There and then, I felt I needed to do something. We can train you in three months and you become a phone engineer and if you like, we absorb you and for those who want to run on their own, they will be allowed. Every year, we will train 1000 young people in this area.